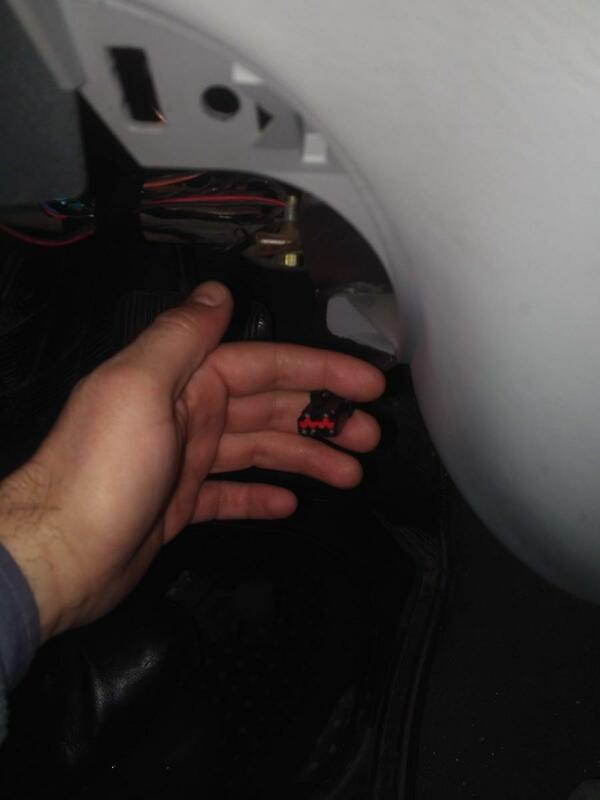 I have several problems in my 2000 Taurus SE FFV and I am sure that they're not interconnected, but I'll list them here in case THEY ARE connected to each other. 1. 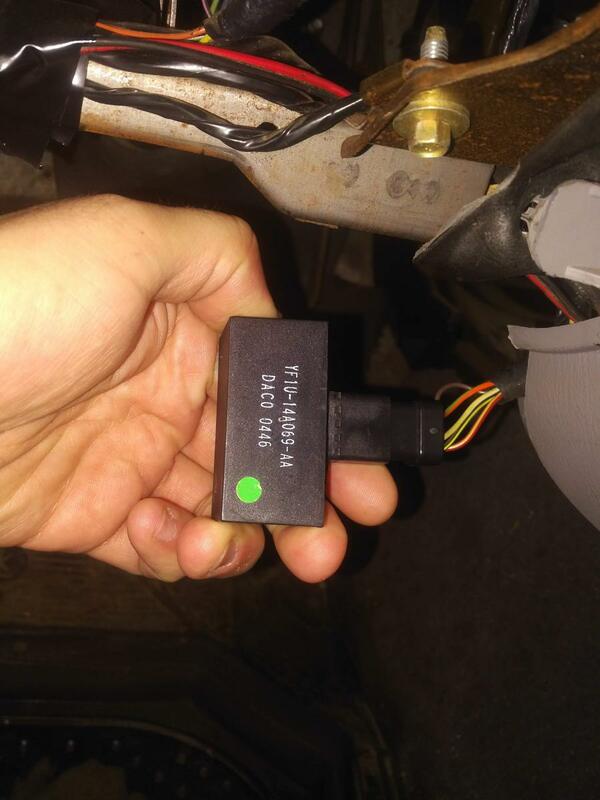 Flex Fuel Sensor Module - from the moment of purchase, my fuel level indicator was not showing. Well, actually it was showing over-the-cap level without any change. 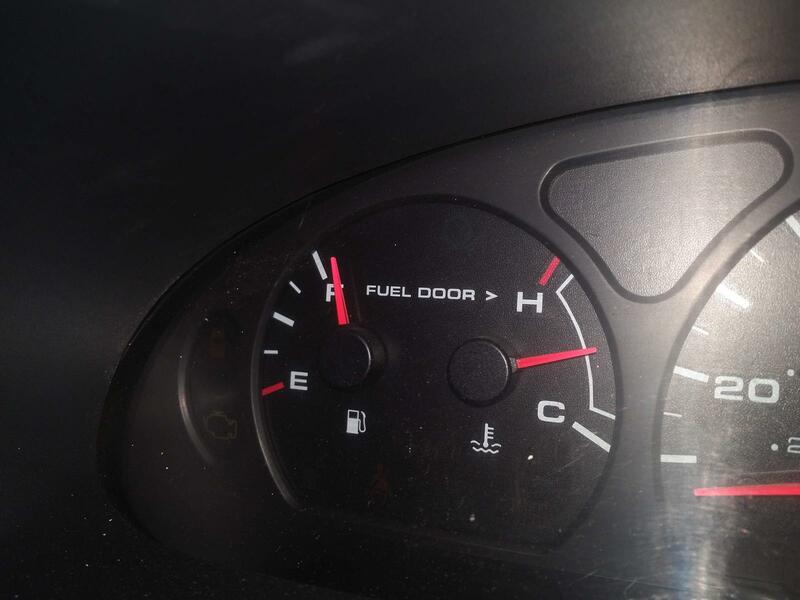 After some period of driving, especially during winter, the level gauge would change it's indications, even totally dry "run-on-fumes" status with the low fuel warning light on. I also noticed that situation change is always caused by the heat intensity from the cabin heater - hotter it got, lower the indication. It never showed real situation though. Pin1 - RD/YE wire, HOT in ACC or RUN. Pin2 - BN wire - grounded. Voltage between Pins 1 and 2 in ACC - 11.48 V, in RUN - 13.6 V. Got that OK.
Resistance between Pins 3 and 4 at the moment was 130 Ohms. I am not sure if it should be like that, but resistance itself shows that the fuel sender is alive. 2. OBD2 Connector - I got it near my left knee, but using at least three diagnostic modules have shown no effect. 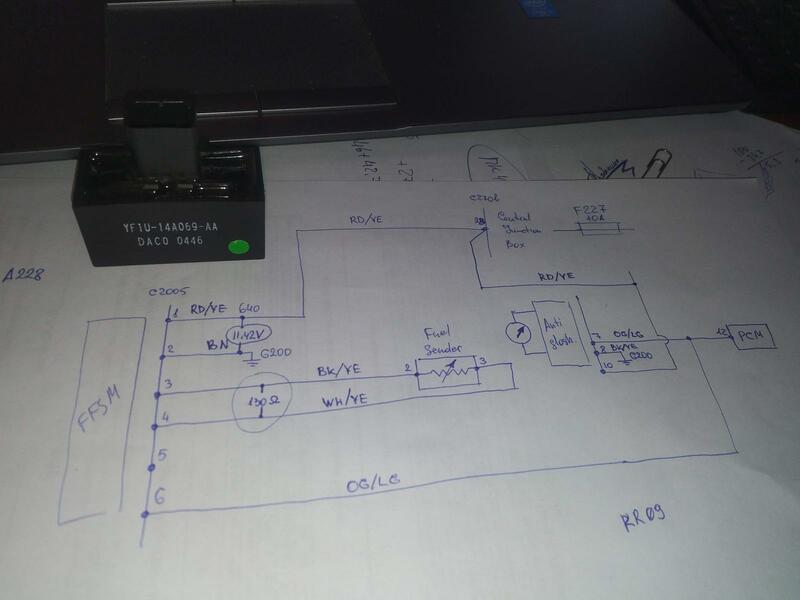 Diagnostics show power supply but indicate no connection to and Engine Control Module. AT ALL. Could those problems be interconnected to each other?